Shock horror, I’m back with a new post before the week is up and I have successfully managed to manage my time in order to write this post, do college work and attempt to do Yoga With Adrienne’s 30 days of yoga challenge without collapsing in a massive heap (although admittedly I am writing this after feeling ill on the bus home, note to self to not read on the bus when you’re very tired). We’re halfway through January which is a little shocking considering how I keep writing 2017 at the top of pieces of work. But it’s my first fashion (ish) post of the year and to celebrate some incredible ethical personalities on the internet I wanted to write a post about how you should get following them and maybe they’ll help you make 2018 a lil’ bit more sustainable; in any way you like. A recent discovery of mine is Sophie Benson. 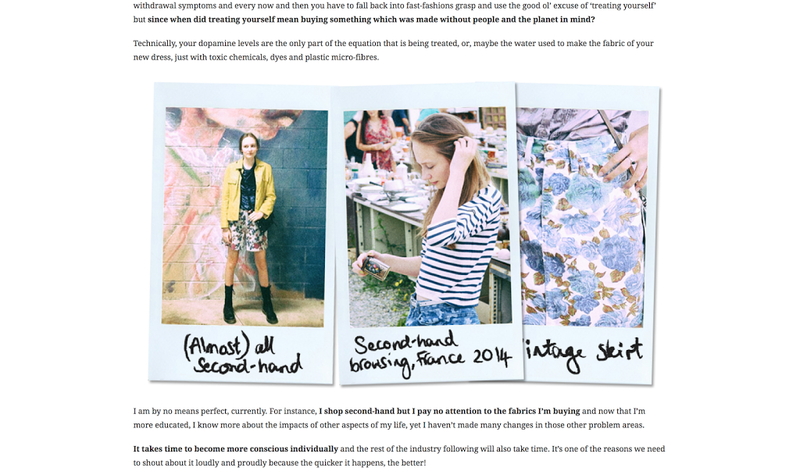 Now, I’ve been following Sophie for a while but I haven’t read her blog, and then I did. There’s sewing DIYS, crochet tutorials, interviews wih ethical brands and posts to ethical questions that we all may possess. I absolutely adore reading DIY posts because they’re full of inspiration about how you can perhaps replicate high-street items for a fraction of the price. Her posts make you think, rethink and give ways in which you can improve what you buy without making you feel guilty for the things that might not be as ethical but already have purchased. 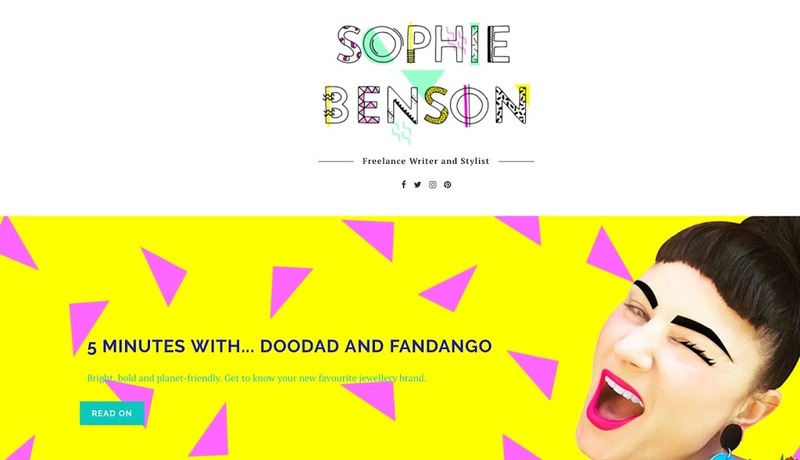 Sophie’s blog is fun, bright and I always check back to see if there’s been a new upload: I would highly recommend. The cost issue: why does ethical fashion cost more? 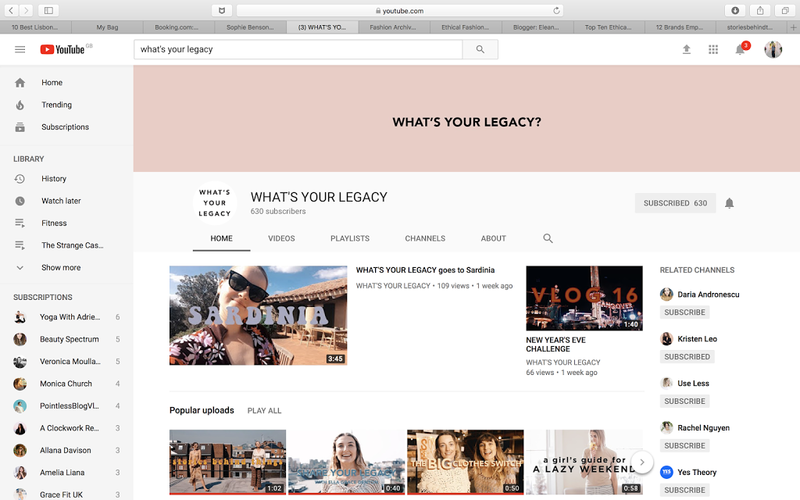 The only YouTube channel in this post and it is definitely one of my favourites, both for ethical fashion and in general. 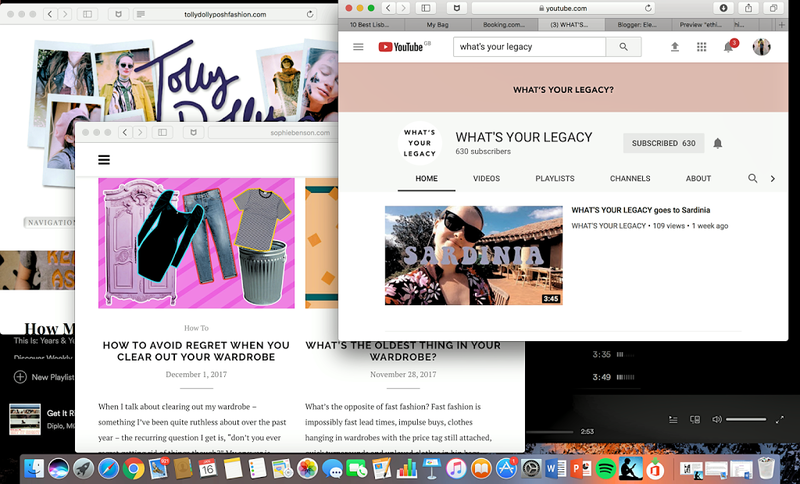 What’s Your Legacy is an incredible resource to find new ethical and sustainable brands, whilst being in touch with people that are making it in the ethical industry and beyond. 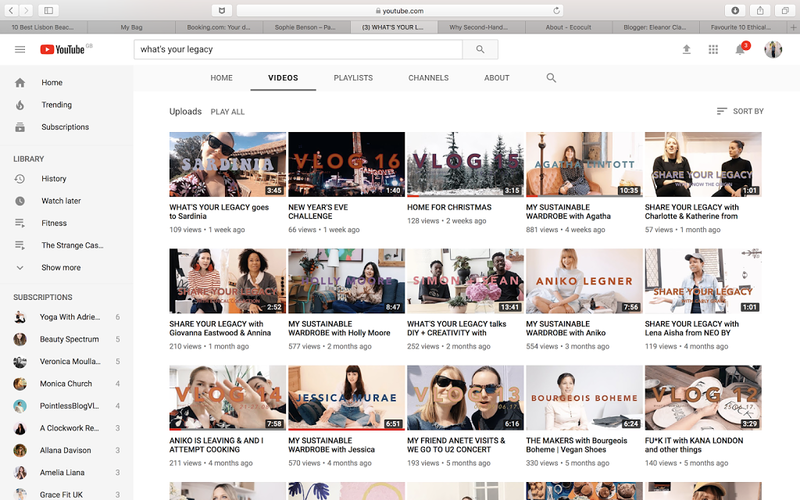 Through Madara’s channel and website I’ve found a wealth of new brands that I love and although there’s no vast material on her channel of why one should buy ethically or how to do it, I think this is the one channel/website you should follow if you do want ethical inspiration as I was inspired when I found it and guess what? I still am. Also, Madara is featuring very soon on a #anewageinspirationpost so you can find out a lot more about the website and where it’s heading in the future! But it you didn’t want to wait until then to get a taste of the ethical action then you an binge watch her YouTube vids. If you’re a student, teen or looking for someone that has extensive knowledge of ethical fashion then Tolly Dolly Poshis your gal. She’s 17, based in Italy and is destined for great things. Towards the end of last year she released two t-shirts with ethical brands Lost Shapes and I know that 2018 will hold the same level of fecundity. 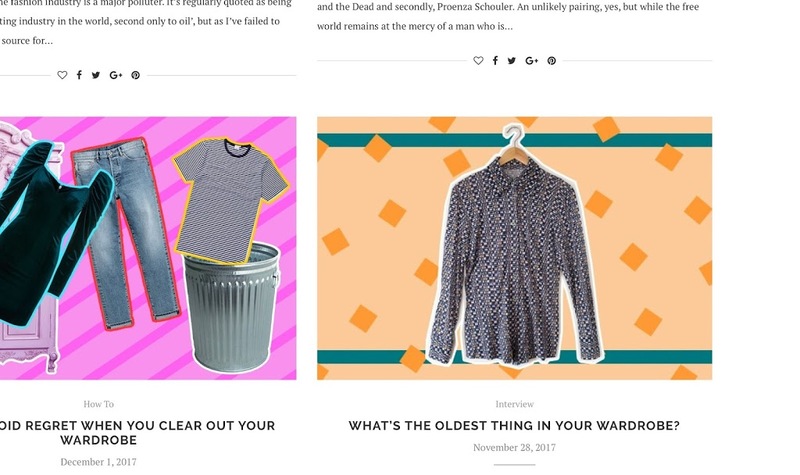 Tolly has a range of ethical fashion posts on her blog that answer a range of different questions, each post is always so fresh and it’s refreshing to see someone who’s so passionate about change but in such a positive manner. My favourite posts?Can you stay on top of trends as a conscious consumer? The Asha Bandana by the @anchalproject 🌿 Anchal is providing alternative careers in textiles to marginalized and exploited women in India 🌏 Through design they are changing lives and supporting stronger sustainable communities. They believe ‘design thinking’ is the creative approach to problem solving, and I couldn’t agree more. When applying this concept, workers are able to benefit from using methods like observation, collaboration, experimentation & evaluation to find solutions. Read more #ontheblog ▫️ latest post!! A post shared by Sustainably Chic (@sustainablychic) on Apr 21, 2017 at 7:04am PDT The final ethical blogger in this post (don’t worry if you think there’s not a blogger that can’t answer your ethical q’s, I have a list of more below) is Sustainably Chic. There’s a huge range of different posts on her website and I’m drawn back to them again and again. My favourite part of her blog has to be Natalie’s conscious list as I end up finding so many new brands of even just one way to be a little more ethical; I’ve linked one of them below. 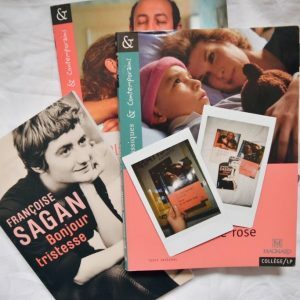 Manonlecor– she’s French and I can read her posts, I honestly feel so proud ya know. Ron McQuade– I love Ron and all her posts, especially Instagram because the colour scheme wow wow wow. She’s also a keen knitter and has made some incredible knits (I seriously look up to her on the knitting front). Curly and Wordy– I’m not sure if necessarily brands her blog as an ethical blog BUT her ethical posts are super. 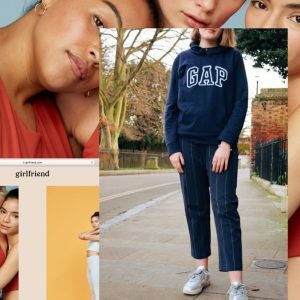 Stylewise blog – Leah’s blog is perfect if you want to buy from a brand but you don’t know what they’re like, the fit etc. (especially as a lot of ethical brands are online). Her Everlane reviews make me so jealous that international shipping isn’t an all time thing. Tartan Brunette – I love Jen and her posts about capsule wardrobes, minimalistic clothes and how she interchanges various pieces in her wardrobe. 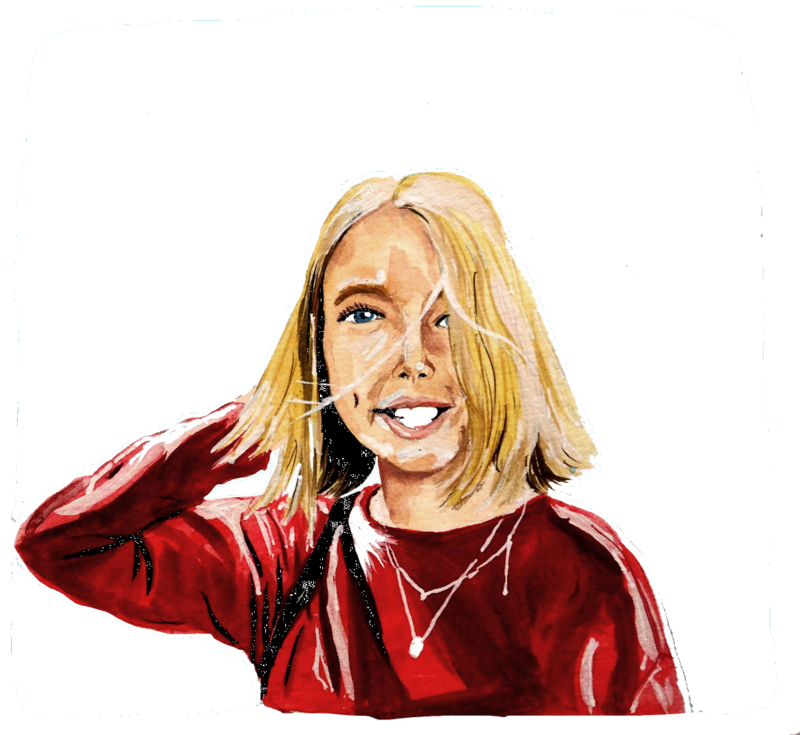 Ethical bloggers are a fantastic resource for finding out about ethical issues and brands that can be both ethical and affordable. They’re another way of getting an ethical education that may not take as long as perhaps watching a documentary but have just as much value into the insights that they can give others about ethical issues. Are there any ethical bloggers that you love out there? I am always on the hunt for new bloggers to find and read so if you do have any recommendations then let me know! I adored reading this piece as sustainable fashion is something I'm trying to reach for more. I do a series of posts on my blog called 'Charity Shop Bops' where I do full outfits from charity shops, I know I can do more to promote sustainable fashion but I think by trying to change peoples views on what is in Charity Shops, they're more likely to shop second hand! Thanks for this list, and for mentioning me! I need to start following Sophie Benson, too. I follow her on insta but hadn't added her to my blog reader. Such great recommendations! I love Kristen Leo's YouTube channel, as well as Anna at There She Goes – they both do loads of thrifting videos and Kristen especially discusses ethical consumption etc.